Fifteen years ago on April 22nd 2000 the strategic Elephant Pass camp was overrun by the Liberation Tigers of Tamil Eelam(LTTE) in a decisive battle after a protracted military campaign.The military balance in Sri Lanka’s Tamil-dominated Northern Province underwent a drastic transformation after the LTTE seized the vast military complex in the area around Elephant Pass, or Aanai Iravu as it is known in Tamil. The Elephant Pass isthmus was of strategic importance as it linked the northern mainland known as Wanni with the Jaffna Peninsula. Both the Jaffna-Kandy road or A-9 Highway, and the railway line to Jaffna run through Elephant Pass, and the narrow strip of land was in a sense the gateway to Jaffna. The fall of Elephant Pass marked the first time in the history of the lengthy “Tamil Eelam war” that the area had come under the LTTE’s control. The Dutch colonialists first built a small fortress in 1776, which was converted in modern times into a resthouse for tourists. After Independence a permanent garrison was set up there to check illicit immigration, smuggling and unlawful transport of timber. As the intensity of the ethnic conflict escalated, the strategic importance of Elephant Pass also increased. The small camp gradually expanded into a sprawling complex. At one time, the Elephant Pass base and the satellite camps covered an area about 23 km long and 8-10 km wide. To celebrate the capture of Elephant Pass, the LTTE organised a flag-raising ceremony at 9 a.m. on Sunday, April 23 2000. According to Tiger media outlets, hundreds of LTTE cadres and a large number of Tamil civilians who serve as members of an auxiliary force known as “Thunaippadai” watched as the crimson-and-gold LTTE flag was hoisted by ‘Colonel’ Bhanu. As Bhanu, 38, stepped back and saluted the flag, LTTE fighters fired ceremonially in the air, and seven artillery field guns fired three shells each. Thereafter, Bhanu addressed the gathering. Paying tributes to the memory of “all our comrades who laid down their lives in this battle and the campaigns before,” Bhanu said that the LTTE fighters had succeeded because of the “very intricate attack plan drawn by our national leader and commander-i n-chief (Velupillai Prabakaran), the smooth execution of the plan by his lieutenants and the courageous fighting done by the cadres.” The victory, he said, was a sign of “more things to come”. Sweets were then distributed. What followed immediately afterwards was rich in symbolism, and marked a defining moment for the LTTE. Groups of hand-picked civilians and some Tiger cadres in uniform walked along the Elephant Pass causeway on the isthmus that links the Wanni area with the peninsula. One group walked northwards from the mainland to the peninsula, and another went southwards from the peninsula to the mainland. The significance of this “walk” was that for the first time in living memory there were no barriers or men in khaki to stop the people crossing to and from the peninsula. For the Tamil civilians, a symbol of perceived oppression had been eradicated. Bhanu had been in a similar situation basking in the glow of victory a decade earlier too. On September 26, 1990, the 350-year-old Fort in the heart of Jaffna town had fallen to the LTTE; triumphant Tiger cadres led by Bhanu raised the LTTE flag at the Fort. Bhanu, who hailed from Ariyalai, was then Jaffna district commander. He had earlier served as Mannar commander. However, when an operation led by him against an army outpost at Thachan Kadu failed, resulting in the death of many LTTE cadres, Prabakaran demoted him. Bhanu was sent to the Wanni area for a while, but a few years later his position was restored and he was entrusted with a crucial assignment. Bhanu was ordered to raise an artillery unit for the LTTE, and this he did competently. Initially, the LTTE depended on artillery seized from the army after successful raids; later the LTTE procured artillery equipment on the black market and transported them by sea to Wanni. The LTTE allegedly recruited foreign mercenaries on a contract basis to teach them the finer points of artillery deployment. The LTTE’s artillery unit was named after former Jaffna commander Kittu, and was commanded by Bhanu. Pleased with Bhanu’s work, Prabakaran directed him to establish an armoured unit. 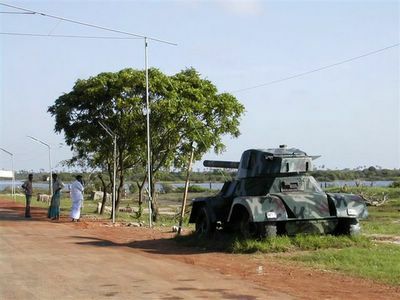 Again, in the initial stages the LTTE could use only a few armoured cars and tanks seized from the armed forces. It was also rumoured that a renegade Sinhala army officer imparted some rudimentary training to the Tigers on the use of armoured vehicles. Later vehicles were purchased in the international arms market and shipped to Wanni. The armoured unit, was named after former Mannar commander Victor and was also commanded by Bhanu in 2000. The artillery and armoured units played a crucial role in the fighting in the Wanni region. They were responsible for checking the advances of the armed forces. The style of LTTE fighting in positional warfare situations underwent a dramatic transformation. Owing to their artillery power and armoured vehicles, the Tigers were then able to hold off the army from afar with the minimum number of casualties. The nature of the war became increasingly conventional, with heavy reliance on stand-off weapons. In the fighting around Elephant Pass, the LTTE’s artillery and armoured units again played a big role and enabled the LTTE to seize control within a short period with relatively few losses.Bhanu was given the honour of raising the flag a s an acknowledgement of the contribution of the Kittu and Victor units. Interestingly, in those days Prabakaran did not hoist the flag or pose before the LTTE’s video cameras after a war victory. He letshis deputies who fought on the battlefield take the credit. It was, however, stated ad nauseam in tiger propaganda that it was Prabakaran who planned and coordinated major military operations. The LTTE victory at Elephant Pass was supposedly the result of an elaborate but simple strategy drawn up by Prabakaran. It was said that Prabakaran used to nalyse the LTTE’s military defeats for mistakes and drew lessons from them for use in subsequent campaigns. In that respect, a failed attempt by the LTTE to capture the Elephant Pass camp in July-August 1991 had yielded many lessons. That failed campaign was codenamed “Tharai, Kadal, Aahayam” (Land, Sea and Air) and lasted 53 days. The LTTE, by its own admissio n, lost 573 cadres; more than 1,500 others were injured. In terms of manpower and morale, these were crippling losses. The Sri Lankan armed forces were able to beat back the LTTE that time owing to two factors. The first was the tenacity of the besieged troops led by a talented officer Major Sanath Karunaratne (Later Major – General Sanath Karunaratne) and the grit with which they held on despite the overwhelming odds. The second was Operation Balavegaya, led by the late Generals Denzil Kobbekaduwe and Vijaya Wimalaratne. They established a beach-head at Vettilaikerny on the east coast and then fought their way through to the army personnel trapped inside the Elephant Pas s camp. Thereafter the camp was converted into a large base by absorbing almost all the buildings in the vicinity, including the salterns and the school. Satellite camps were established at Vettilaikerny, Kattaikadu and Pullaveli. Thus, a safe supply route by sea and land was ensured. After Operation SathJaya in 1996, Paranthan and Kilinochchi, to the south of Elephant Pass on the mainland, too were linked up with Elephant Pass. The Kilinochchi-Elephant Pass-Vettilaikerny base became a sprawling complex that housed an entire division and was considered impregnable. Given those circumstances, Prabakaran resorted to a strategy to take Elephant Pass by gradually encircling and enfeebling the troops inside by cutting off supplies and strangulating the base. The idea was to avoid a frontal assault that would have led to the loss of many lives, since the armed forces had numerical and logistical superiority. THE first stage of the LTTE campaign to take control of the peninsula was launched on December 11, 1999 .The camps at Vettilaikerny and Kattaikadu on the east coast and Pullaveli to the north of E lephant Pass were taken in a land-sea joint campaign. An unsuccessful assault was conducted on the western flanks of Iyakachchi, but no direct attack was launched on the main base at Elephant Pass. The Iyakachchi camp, five km to the northwest of Elephan t Pass, was situated along a bend on the A-9 Highway. With the fall of Vettilaikerny, Kattaikadu and Pullaveli, the land-sea supply routes to Elephant Pass were cut off, and the only way through was along the A-9 Highway from Chavakachcheri. The LTTE conducted some limited operations that were aimed at stepping up the pressure on Iyakachchi without achieving any breakthrough. The second stage of the LTTE campaign, a multi-pronged assault, unfolded on March 26, 2000 . A joint operation led by Vasanthan of the Charles Anthony Infantry division and Veerendran of the Sea Tigers took control of the Chembiyanpattru-Maruthankerny-Thalaiady complex that housed the 3rd operational headquarters on the Vadamaratchy east coast. 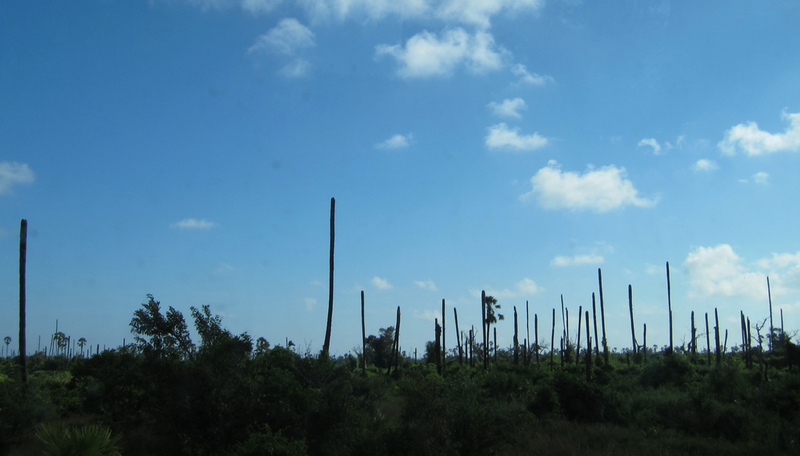 These were on the land strip between the Bay of Bengal and the Jaffna Lagoon. The army then vacated the camp s at Maamunai and Amban; the soldiers relocated to positions to the west of the lagoon. Simultaneously, a squad from the LTTE “Siruthai” (Leopard) Commando brigade raided Pallai, the largest junction to the north of Iyakachchi on the A-9 Highway, and decommissioned at least 11 pieces of artillery. A contingent led by the LTTE’s deputy milit ary chief Balraj then took a swathe of the Jaffna-Kandy road between Pallai and Eluthumattuvaal. These included the areas around Arasakerni, Ithavil, Indrapuram. Muhamaalai and Kovil Kadu. With this, the LTTE effectively cut off the main road link between the Elephant Pass/Iyakachchi camps and Jaffna. Among “Brigadier” Balraj’s many military feats the crowning achievement was the fight he put up in 2000 at Ithaavil on the A-9 Highway that interdicted transport between the Elephant Pass garrison and the supply lines along the Kilaly – Ezhuthumadduvaal-Nagar Kovil axis for 24 days at a stretch. On April 10, the armed forces recaptured a major portion of the road but failed to dislodge the Tigers completely. There was, however, a circuitous route that helped maintain a road link. At Pallai, a road branched off westwards from the A-9 Highway towards Kilali via Puloppalai and then headed north towards Kachchai and Allippalai; from there it ran east towards Kod ikamam, at which point vehicles could get back onto the Jaffna-Kandy road again. However, this route came under intense pressure from the LTTE which fired artillery barrages at Kilali from Pooneryn across the lagoon. Also on March 26, the LTTE’s Kilinochchi commander Theepan led a team of men across the dried-up Chundikulam lagoon on the southeast of the peninsula and established positions in the Mullian and Vannankulam region. But the team ran into the Forward Defence Lines and was prevented from advancing towards Elephant Pass in the Vathirayan area. The third and decisive stage of the LTTE campaign was played out around noon on Tuesday, April 18. A Leopard commando raid saw the LTTE take control of the Maruthankerny causeway, which enabled it to proceed westwards on the Maruthankerny-Puthukadu Junction road, which links the east coast and the A-9 Highway. The Puthukadu Junction is between Iyakachchi and Pallai. The LTTE proceeded along the southern areas of Muhavil, Soranpattru and Maasaar, after demolishing a 40-foot bund put up by the army as a d efence measure. The Tigers headed south on the A-9 Highway and reached the northern sector of the Iyakachchi camp. In effect, Elephant Pass and Iyakachchi were marooned. Thereafter, the LTTE mounted a fierce attack on the Iyakachchi camp from Kovil Vayal and Sangathaar Vayal. As the fighting intensified, the Tiger cadres to the southeast of Elephant Pass broke through and began assailing the camp. The armoured and artillery units led by Bhanu pounded the base and inched forward. The telecommunication tower in the Elephant Pass base was damaged; all telephone lines to the north were severed. At a critical juncture the bulk of LTTE cadres led by Balraj abandoned the A-9 Highway and joined the fighting around Iyakachchi after setting up two “cut out” posts to the north of Pallai and south of Eluthumattuvaal to prevent an army advancement. Heavy fighting in and around Iyakachchi began on April 20,2000. The Tigers positioned themselves to the south of the camp and cut it off from Elephant Pass. Iyakachchi fell on April 21 2000. The LTTE entered the camp and destroyed ammunition dumps and buildings. Thereafter, the theatre of war shifted to Elephant Pass. The LTTE advanced on Elephant Pass from the north, northeast and southeast. There was heavy exchange of fire all through that long night, and even as the fighting was on, the army began to move out. By 11-30 a.m. on April 22, the large garrison at Elephant Pass “vacated” it. The LTTE marched in at 2-30 p.m. the same day. The flag was hoisted on Apr il 23 2000. After the LTTE’s stage-by-stage build-up against Elephant Pass, the abrupt capitulation by the security forces came as an anti-climax. Curiously, however, the LTTE, which had until then put out news at each successful stage of the campaign, did not annou nce the fall of Iyakachchi on April 21; it announced that news along with news of the fall of the Elephant Pass camp. This perhaps implied that after taking control of Iyakachchi, the LTTE was supremely confident that Elephant Pass would fall soon or had advance knowledge that the troops there would withdraw within hours of the Iyakachchi debacle. The security forces vacated Elephant Pass only after they received orders to that effect from the defence establishment. Army commander Srilal Weerasooriya instructed Chief of Staff Lionel Balagalle to issue the order, which was sent by personal courier to Elephant Pass. Commanding Officer Brigadier Egodawela received it at 10 p.m. on April 21 2000. The retreating troops initially started moving out to Pallai, 14 km away, along the A-9 Highway, but when the LTTE thwarted them, they took to a disused rail track and a sandtrack to its west. From Pallai, the soldiers headed west for the relative safety of Kilali. But when Tiger mortars pounded this route, the army used another circuitous route – a dirt track going northwest from Elephant Pass to Kilali through Kurinchatheevu, Oorvanikanpattru and Thanmankerny. On this longer route, however, many soldiers succumbed to heat and dehydration, apart from the unceasing LTTE shells. Nevertheless a good number of the troops moved out from Elephant Pass, mostly on foot. Before leaving, they spiked some artillery pieces, but even so the LTTE seized some powerful guns, including 152-mm artillery guns, and a number of tanks and armoured cars, besides other arms and ammunition. A preliminary list released by the LTTE revealed a mind-boggling armoury. Elephant Pass was in many ways a military debacle for Colombo then. Although there were more than 15,000 troops in the Elephant Pass base and there were fewer than 5,000 LTTE cadres in the peninsula, the army was defeated because it was a demoralised force at that time. The defence establishment’s decision to move the troops out of the Elephant Pass base was, however, forced on it primarily by a shortage of drinking water. The camp was equipped with machinery for desalination of water, but it had broken down and not bee n repaired. The availability of potable water in Umaialpuram and Iyakachchi had perhaps lulled the forces into complacency. However, when Iyakachchi came under siege, the water crisis in the overcrowded base became unmanageable. Ironically, the Elephant Base base had ample quantities of canned food and dry rations; after taking over the camp, the LTTE distributed these to civilians in the Wanni area. Defence Ministry sources estimated that over 1,000 LTTE cadres were killed in the three phases of fighting from December 11, 1999. The LTTE claimed that only 303 of its cadres were killed during the campaign, including 35 casualties in the final battle for Elephant Pass. The Tigers further claimed that over 1,000 soldiers were killed; the Army, however, said that only 80 of its men were killed and over 100 were missing in action. Subsequently the Tigers returned through the Red Cross the bodies of 126 soldiers, of which 28 were identified. Among the top Army officers who were killed were Brig. Percy Fernando, Col. Bhatiya Jayatilleke, Col. Neil Akmeemana and Lt. Col. Hewage Hewawasam. All of them were promoted posthumously.On the Tigers’ side, the women’s brigade chief, ‘Lt. Col.’ Lakshiya, was reported killed. The Elephant Pass debacle shocked people across the country. Former Sri Lankan Deputy Defence Minister Anuruddha Ratwatte, however, sought to put a brave face on the defeat. Addressing a ministerial function, he said that the “setback” at Elephant Pass ought to be seen as a “natural phenomenon in wars of this nature… We have to accept both victories and setbacks in the same manner.” In a televised address to the nation, then President Chandrika Kumaratunga stated that her Government “has unequivocally decided to protractedly and relentlessly pursue with the military operations”. Although the LTTE victory at elephant pass was hailed as a turning point in the war at that time the situation changed gradually with the passage of time. All areas under LTTE control were wrested back in stages by the Sri Lankan Armed forces during the 2006 -2009 period. Elephant Pass itself was re-taken in the first week of January 2009. The war itself ended in May 2009 with the LTTE military debacle at Mullivaaikkaal. Thus the LTTE’s “famous victory” at Elephant Pass and the euphoria surrounding it proved to be ephemeral,ultimately. « With the UPFA Having 103 MP’s Still, Can the Sirisena-Wickremesinghe Govt Get 150 Votes for Two-Thirds Majority?